Set in the 1st district in central Paris, this 4-star hotel is 50 metres from the Tuileries Garden and a 10-minute walk from the Louvre Museum. 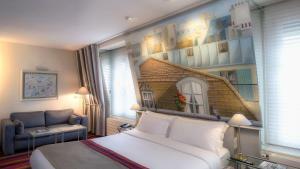 The Hotel Cambon features an extensive collection of artistic objects and paintings. 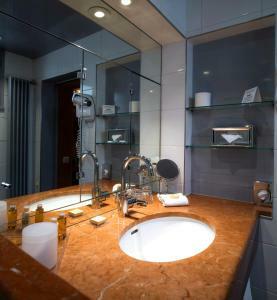 Each air-conditioned room includes satellite TV and a minibar. 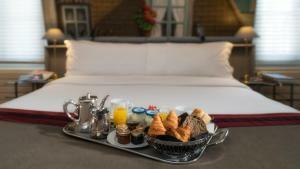 Some rooms offer a private terrace or balcony with views of the Tuileries Garden. 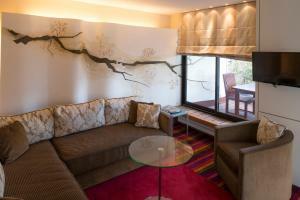 All rooms are individually decorated with bright colours. A buffet breakfast is served every morning at the Hotel Cambon. Guests can enjoy drinks in the hotel bar, which features a glass roof. Hotel Cambon is a 5-minute walk from the Place Vendôme and Rue Saint Honoré. Concorde Metro Station is 50 metres away, providing access to the Champs Elysées. Free WiFi is provided throughout the hotel. 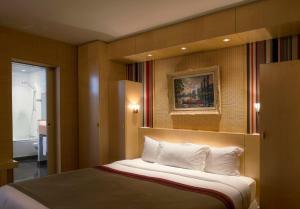 A stylish room with a minibar and a flat-screen TV with satellite channels. This room cannot accommodate any extra beds. 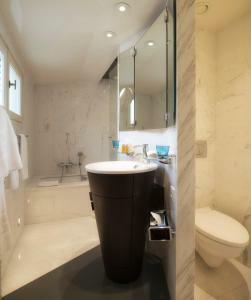 This has a large bathroom including bathrobes. Rate: € 152.00 ... € 591.00; select dates below to get current rates. This spacious suite features a contemporary décor and a private balcony with a view of the rooftops.